The St John Paul the Great Library contains more than 380 items. All parish members are encouraged to borrow the books and DVDs which cover a variety of theological and spiritual topics. The StJPtG Library requires many volunteers to help it to function. Please consider volunteering as a librarian. You can request materials to be held for you to be picked up at a later time by emailing us at svdp.parish.library@gmail.com. The reason the library exists is to help lead people closer to Christ and His Church. Books have played a role in many peoples’ conversions to Christ. One recent Saint, who lived and was influenced by the same “culture of death” which we experience today, had lost her faith in God and had consciously decided on her own to give up praying. Years later she picked up a copy of St Teresa of Avila’s Autobiography and read it all night. She said, “When I had finished the book, I said to myself: This is the truth.” Later, looking back on her life, she wrote: “My longing for truth was a single prayer.” After reading this book in which she encountered the God of love, she devoured the catechism and a missal and attended her first Mass. She accosted the pastor to baptize her, and very soon after, she converted to Christianity and was baptized in the Catholic Church 1 January 1922 and later celebrated the Sacrament of Confirmation. She joined the Carmelite order in 1933 and died a martyr’s death in August 1942. Pope John Paul II canonized Teresa Benedicta of the Cross (Edith Stein) on 11 October 1998. She was a witness to God’s presence in a world where God is eschewed. The parish lending library is located in the front vestibule off the east entrance to SVDP church underneath the banner opposite the bathroom. The library is open weekly after the 10AM Mass. It is open after all the masses the first weekend of the month. It also is open weekly during the hours of Adoration (Thur 5pm-Fri 5pm) for self-check out. Under the “date” column on the card, write the date that you are taking out the item. Under the “issue” column on the card, write your name and phone number. Place the card in the box marked “Adoration” located on top of the drop box. You can renew your materials you have previously checked out or request new items to be held for you to be picked up at a mutually agreed-upon time by emailing us at svdp.parish.library@gmail.com. See a listing of the complete collection of items in the SJPG Library. 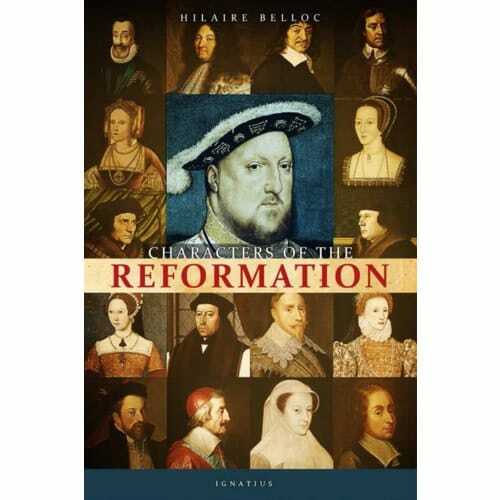 Characters of the Reformation by Hilaire Belloc is the featured book for the month of October because we recall the 500th Anniversary of the beginning of the Protestant Reformations on October 31, 1517. One of the most fascinating books ever written by the great Catholic historian Belloc, he presents in bold colors the 23 principal characters of the Protestant Reformation, focusing primarily on those figures concerned with the events in England, analyzing their strengths, mistakes, motives and deeds which changed the course of history. Among the characters he examines are Henry VIII, Anne Boleyn, Elizabeth I, St. Thomas More, Mary Tudor, Thomas Cromwell, William Cecil, Mary Stuart, Cardinal Richelieu and many more. Belloc illustrates how the motives of the Protestant leaders were rarely religious in nature, but usually political or economic. He underscores the fact that European Christendom was once a single united entity, under the authority of the Catholic Church, each country viewing itself as a single “province” of the whole. Many of Europe’s Princes resented the power that the Bishop of Rome held in their own lands. The Reformation, aided by the rise of Nationalism, was a means for the nobles of Europe to shake off Papal authority and rule their territory independently. It also gave European monarchs control over the Church and all of its property in their realm, including the taxes that would normally be sent to Rome. The nobles grew rich by confiscating the wealth of the Church, and resisted reconciliation if that meant returning the wealth to its rightful owner. In subsequent generations, the fear of this possibility gave the noble classes an incentive to remain in the Protestant camp. Belloc warns that this breakup of Christendom may still destroy our Christian civilization. Even those who think they do not like history will be unable to put this book down as it brings history vividly to life. As usual, Belloc’s historical perspective offers timeless wisdom and insight rarely seen in modern times. Bella is the featured DVD for the month of October since October is Respect Life Month in the Catholic Church. An international soccer star (Eduardo Verastegui) is on his way to sign a multimillion dollar contract when something happens that brings his career to an abrupt end. A beautiful waitress (Tammy Blanchard), struggling to make it in New York City, discovers something about herself that she’s unprepared for. In one irreversible moment, their lives are turned upside down…until a simple gesture of kindness brings them both together, turning an ordinary day into an unforgettable experience. 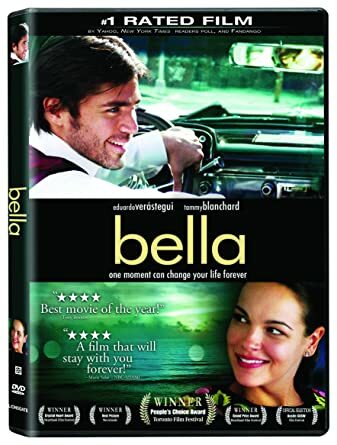 Bella highlights the magnitude and uniqueness of each person and the bond between mother and child. It follows the story of two friends who find themselves dealing with unexpected situations involving both life and death. We see how and why each processes the difficult decisions that lie ahead and how the dignity of life remains the sole purpose and guiding action for their decisions. This film will tug at your heart, but ultimately leave you feeling uplifted and encouraged.